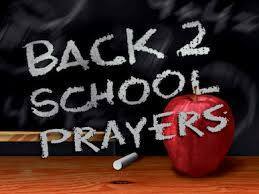 Prayer for Teachers is Needed! 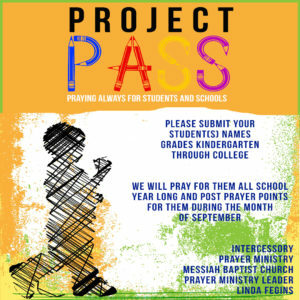 Every day for the last three weeks I have been posting specific strategic daily prayers for students , their schools and college and the education mountain under PROJECT PASS- Praying Always for Students and Schools. I have requested your child’s, grandchild, nephew etc name and school/college from Pre-K through college. Prayer is need for our teachers as well who have to teach our children. 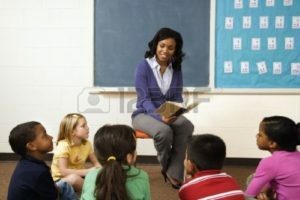 Yes , teachers need prayer and encouragement as they deal with our children, some unruly children, children who have special needs , and family issues that teachers need to address. Let’s pray for their dedication to education and for their protection. We need to continually uplift the entire educational system and all those involved in the mountain of education which includes our teachers and administrators. Teachers need much prayer too. We need teachers who are committed to effectively teaching our children. Schools must be safe for teachers as well as students. Teachers are important and need prayer and encouragement. I salute qualified teachers who are dedicated to the work and who care about the students. They are so important and deserve decent pay. We want to make sure that teachers are qualified and care about delivering quality education without regard to the race or economic status of the student. • Pray for our school teachers that God will give them the grace to deal with day-to-day frustrations and problems. • Pray that our school teachers would exhibit the life of Christ before our children. That they would be filled with love, joy, peace, patience, kindness, goodness and faithfulness. • Pray our educators will pray unceasingly for guidance and wisdom to become the examples to their students. (I Peter 2:21) Pray they will know how to pray for their students. Pray for our school teachers that God will give them the grace to deal with day-to-day frustrations and problems. State the name of your child or college student and their school. Adopt a school or college in your community or where your child attends to daily pray for using the prayer points from prior posts. State the name of a teacher you want to pray for.